It’s an old truth amongst experienced ‘safaristi’; the further off the beaten track you trek, the better your chances of watching life in the wild. The Linyanti Bush Camp is definitely off the beaten trek! It is set in private game reserve that borders the western boundary of the renowned Chobe National Park – an area that is famous for its large herds of elephants, reckoned by many naturalists as being amongst the largest in Africa. 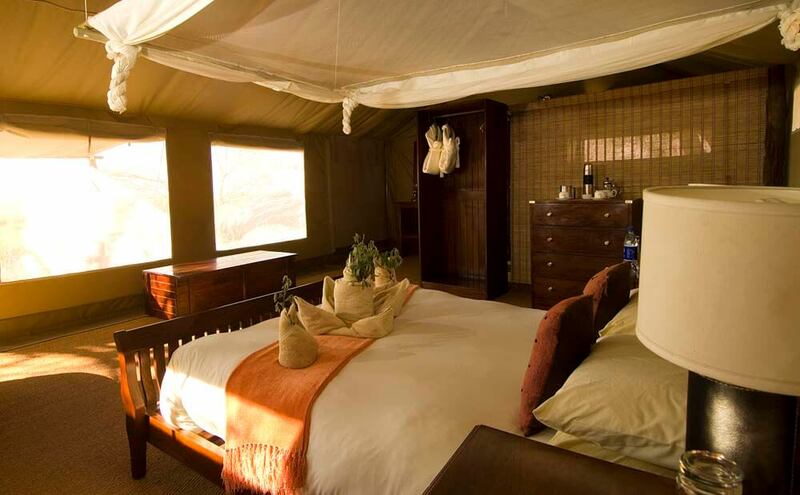 But specify Linyanti Bush Camp as one of the destinations on your luxury, tailor-made holiday to Botswana and you’ll find that it’s not just the camp’s remoteness that provides such an abundance of wildlife watching. It stands on the banks of the Linyanti Marshes – the only source of water for miles around in the dry season – so a huge variety of different creatures, emboldened by their thirst, come down to drink in plain view. Remote location but hardly primitive!